Over the last two years, the United Kingdom has been in a state of flux. Ever since a referendum in June 2016 that decided on leaving the European Union, there’s been a lot of confusion about the future of the country. For British citizens living abroad it’s unclear if they’ll be able to stay there, and for international companies the economic impact is still hard to gauge. One thing is for sure, however — a lot of things are going to change. One thing that is bound to become different is travelling to and from the British isles. While most people might only visit the country once every while, some business travellers are flying in and out a lot more often — especially those working for companies with an office in the UK. For them, a lot of things are about to change — that's why we're taking some time to explain what exactly. When you're often found at the airport to travel for business, you want to spend as little time as possible there. Unfortunately there's a handful of things you can't get around, like the security checkpoint and customs clearance, and with Brexit on the horizon, the way you get to the airside is likely to change. For the hundreds of millions of EU nationals that want to come into the UK, it's likely that the country's new status will have them waiting a fair bit longer. The current 'fast track' lines that are available to pass the border faster than visitors from outside of the EU might disappear, leaving it only accessible for UK citizen. This will significantly increase their time spent waiting at the airport — a big burden on the weary business traveler that needs to fly in and out on a regular basis. Even though the date Brexit will go into effect is approaching fast, it's still unclear how certain things will spin out. One of the main things that still needs to be decided on is the freedom of flights coming in and out of the UK. Currently, any EU airline is free to fly anywhere within the area, making it possible for connections to exist between Britain and the mainland. For some airlines, this freedom of flight has been a cornerstone of their operations. Take for example EasyJet and Ryanair, two budget airlines that have been able to offer low-cost flights to and from the UK thanks to this 'open skies' policy. After Brexit, these flights will become a lot harder — and more expensive — to operate. This doesn't just go for low-budget fares, either, as the rates for standard flights will also likely rise. A clear indicator for this is the fact that since the introduction of the open skies policy, fares around the EU have fallen about 40 percent and routes have increased by 180 percent — this means that a bounce back to the original prices is expected. 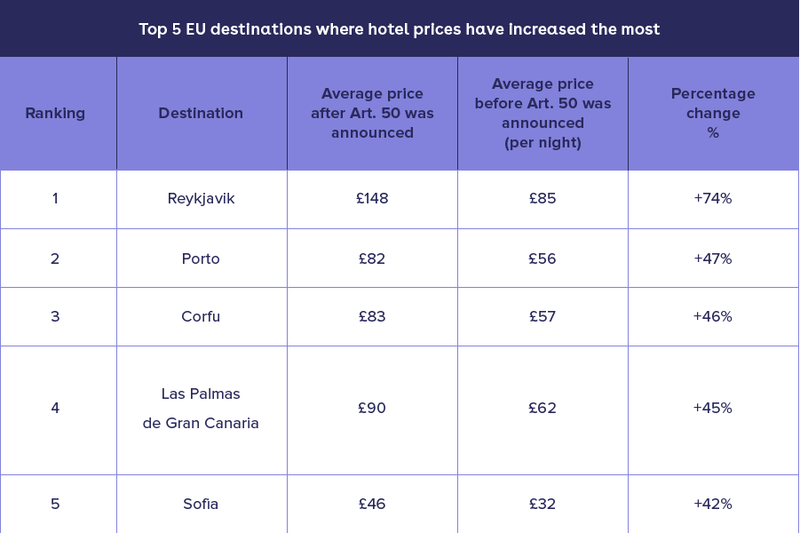 Just like flights are getting more expensive, the same thing is bound to happen to hotel prices. Due to high demand lodging rates in London are already at an all-time high, but the hospitality industry is about to take another hit. Right now it's easy for anyone in the EU to come and work in the UK, but after Brexit this might be severely limited by visa issues. This will have a big effect on hotels, as a recent study carried out by KPMG shows that over 750.000 hospitality workers working in Britain are citizens of other EU countries. The current rules allow them to work wherever they want, but in the near future they will need to obtain a visa to keep working there. This will undoubtedly leave to a lot of people leaving their jobs to go back home, with the hotel industry crawling to keep up by trying to hire new employees — something that could eventually lead to higher salaries and subsequently higher room rates. 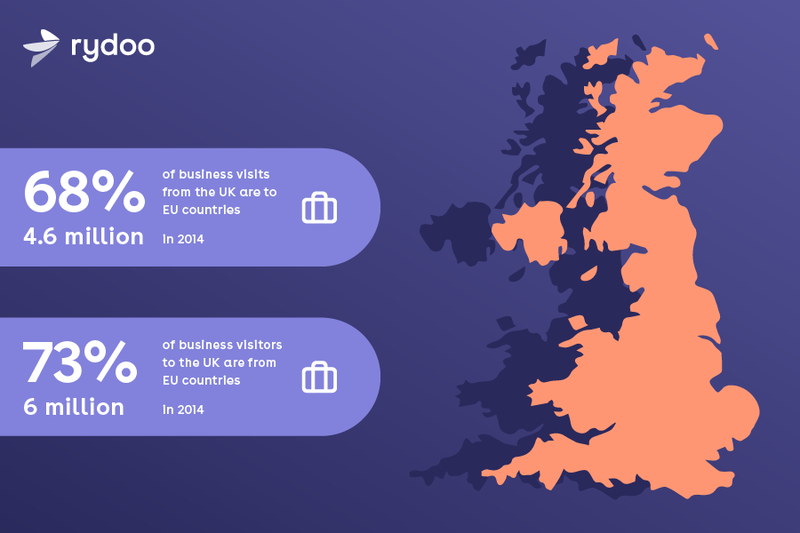 Additionally, there's a chance that people will become less interested in visiting the UK for all of these reasons combined. With less rooms booked, hotels will be forced to increase their rates, making all stays more expensive. All in all, a lot of things are changing for travellers that often find themselves in a British airport. But while the above changes are mostly specific to travel, there are more things that might influence their experience — take for example the value of the pound, which has been in freefall due to the bleak outlook on the country's future. For European expats living in the UK and British citizens living on the mainland the coming years will be marked by uncertainty. If your company employs people that will be in one of these situations, it's important to take extra care of them — make sure any issues regarding visas, travel or salaries are managed. It's not just a nice gesture, it's the responsibility you have for taking care of your employees — and it’ll ensure they can keep working for you for years to come.